For our 25 YRS anniversary of Time Warp we planned a historic celebration - and we had one. What a night, what a morning, what a ride! Thanks to our passionate team, the inspiring artists and most of all to YOU, our loyal and incredible fans for your passion and energy! Be the first to know about the next Time Warp Germany, line-up and presale announcements. Sign up for our subscriber list - no worries, we don't spam you! Both living in Zurich, each regularly performing as DJ's, and both named Adrian S. - perhaps it was destiny that Adrian Shala and Adrian Schweizer would meet in 2008 and form a near instant friendship. The two men carved out a career as one of the most consistently delivering DJ/producer duos in the house and techno scene: Adriatique. Adriatique’s DJ performances are long, meditative, relentlessly building affairs, ever challenging the listener with subtle twists interrupting their hypnotic groove. Is there a better place to get lost in their dreamy soundscape than on our otherworldly dance floors? Frank Wiedemann is a man with the mind and the creative engine of a composer. As one of the two heads behind Âme - the live part - he stand for a Detroit-influenced deep house combined with soul influences from legends like Stevie Wonder. You wonder how that sounds like? It sounds like Âme. Berghain resident since 2005, "Klockwork" label owner and an ever-present symbol of Berlin’s vast musical landscape: Ben Klock has established himself at the forefront of the international techno scene. Those who have witnessed him perform not only praise the diversity in his track selection, but also his ability to create a room rather than just play to it. His ability to create an intricate narrative and sense of flow in his sets makes him a perfect addition to our stellar line-up 25YRS of Time Warp. Though intense and powerful, his DJ output reflects a certain kind of fervour, capturing an artistry and emotion that can often appear absent from the Techno genre. We are very much looking forward to Ben Klock's return to the Time Warp stage. A real Frankfurt veteran, spinning for over 25 years, his trustful taste in music made Robert Johnson Resident Dorian Paic a regular fixture on global line-ups. Blending minimal or classy modern tech house, Dorian Paic always plays with precision, passion and a sense of free-flowing energy that keeps dance floors around the globe mesmerized. For 25YRS of Time Warp, Dorian will once again be hitting the deck with a choice of his finest black gold. Mannheims very own Fabe is a familiar face in the local electronic music scene. The „Salty Nuts“ label founder and BE9 resident seamlessly incoorporates both irresistible grooves of old school house and powerful techno kicks into his sets, moving the crowd every step of the way. Born in Berlin and inspired by 90s hip-hop, Fabes music is strongly influenced by his roots, his dynamic style continuously impressing. Joining us for the very first time at Time Warp, his vision of bringing Mannheims sound to the world is now one step closer. In 25 years of Time Warp, we’ve had some unforgettable sets by Joseph Capriati. Whether it was his closing set in 2018 or his spectacular back2back with Carl Cox in 2016, Capriati's brand of slick and emotive techno, has become a staple highlight of Time Warp. With his powerful sets, delivered with precision, flair and infectious energy, he has become a fan favourite and an ever-captivating performer, ready to bring the crowd onto the next level. Now over a decade into his career as a globally touring DJ and revered producer, Joseph Capriati remains amongst the most in-demand, well-respected and exciting artists in dance music. Mesmerizing the Time Warp crowd year on year, bridging distances that have been created between DJ booth and dancefloor, Karotte has simply stayed true to the spirit of what DJs used to be decades ago. Showcasing a more than unique talent to pick the best records for the moment, Karotte never fails to combine the best of both worlds; enjoying the party as well as creating the soundtrack for it. No words needed - this guy knows how to pull even the most persistent non-dancers onto the dance floor. Rune Reilly Kölsch is a phenomenon: Well known for his productions, he has sold millions of records all over the world under his many different monikers and production work. With his natural flair for making music that makes people move, deeply rooted in the inspiring Chicago and Detroit scenes, Kölsch offered his exemplary remix abilities to London Grammar‘s 2017 hit ‘Hell To The Liars’, turning it into an emotive masterpiece. The Dane will bring back his beats to 25YRs of Time Warp, and you can catch his set right there, on our spectacular dance floor. Credited as one of the first residents at techno mecca Berghain and one of the most in-demand techno artists of a generation, Len Faki doesn’t need to be introduced. His sound is constantly evolving without ever losing its vibrant, unique energy and the passion and heart he puts into his sets. His past sets at Time Warp have been an audio-visual adventure where he not only plays for the crowd but rather performs for and with them. Make sure you bring enough energy with you when facing this techno mastermind. Loco Dice, DJ, producer and Desolat record label co-founder, will bring yet another thunderous set to Time Warp. Whether you’re a dreamer or a 9-to-5er who just wants to lose everything in a moment of abandon on the dancefloor, you will click to Loco Dice. One of electronic music’s most enduring and respected artists, he’s always shown an uncanny ability to read the crowd and take them in an unexpected direction. 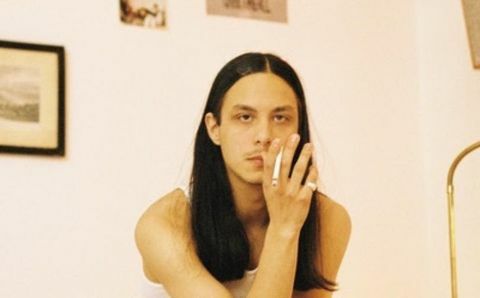 His delicate sense for sounds and reflective atmospheres, underpinned with solid, physical grooves inspired by the hip hop that was his early sonic stomping ground in the mid- to late ‘90s, will have you lose control in no time. Luciano directs the crowd with unparalleled sophistication and gets them exactly where he wants them - on the dancefloor! He draws the crowd in with raw energy, the thousands at his feet dancing to his expertly selected tunes. Luciano can handle all angles of the musical spectrum, blending from tech house beats into techno with ease, all the while keeping the room locked in a trance. Get ready to be held by the soundtrack and fixated by the visuals that make the Time Warp experience so unique. Maceo Plex's unstoppable, genre-spanning sets always revolve around his dedication to crafting sounds that continue to devastate dance floors around the world. The DJ Award winner and label boss of Ellum Audio never fails to leave the Time Warp crowd astonished. For our 2019 edition, we’re nothing but excited to celebrate his deep and dark flavours against our futuristic visuals. Magda transforms disjointed bleeps and psychedelic synth riffs into a living sound complex with addictive qualities. With incredibly deep bass and a good portion of groove Magda puts her fans under a hypnotic spell and does not let them go. One of her hallmarks is the extensive editing of her current favourite tracks, so that each of her sets is distinctively unique. Her multifaceted approach to art and her music has us excited to hear what she will contribute to our 25YRS celebration at Time Warp 2019. Music On in the house! For techno lovers worldwide, Marco Carola is one of the most respected artists in the scene. An integral part to the development of Italy’s techno scene in the early 90s, he has since distinguished himself an ambassador of spitfire electro-dance beats. Famed for his energetic and impressive three-deck style of mixing and long journey sets, Marco has remained one of the most in demand DJs on the planet throughout the last two decades – and a regular guest at Time Warp. Monika Kruse's talent and dedication has made her one of the world's most highly-respected DJs and producers. At Time Warp, Monika Kruse has been reigning supreme for two decades - she’s one of the festival’s most revered veterans and a fan favourite. Monika's DJ appearances spanned the globe, including a South American tour and gigs throughout Europe, UK, USA and Canada. Get ready for high energy & grooves when the grand dame of techno Monika Kruse takes control of the decks at Time Warp. In its 25-year history, Time Warp never forgot to show its local roots – showcasing talent and newcomers from its hometown Mannheim. 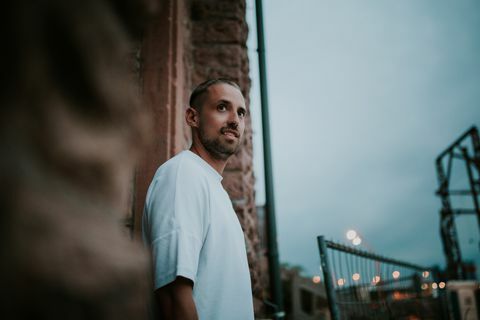 One of these local heroes is Nick Curly, who can look back on over a decade where he has been a permanent fixture at highest level of the game as DJ, producer and label owner. Ever since his memorable breakthrough in 2008, Nick Curly has established himself as one of the pre-eminent international acts in the modern era of house music and the embodiment of the “Sound of Mannheim”. Peggy Gou has quite shaken house music to its core. Her sound situates somewhere between Detroit, London and Berlin - a kinetic combination of dark, pulsing house and techno, broken beats and abstract compositions. Rapidly emerging as one of the most important female figures in modern electronic music, she is already showing signs of becoming a highly unique and singular artist as she embarks on her journey into music. Richie Hawtin is a genuine original who left an indelible mark on the global techno scene. His critical acclaim spans the realm of the fine art community to the technological vanguard. During the span of his career, Hawtin created a unique techno sound, which is regarded as synonymous with the city of Detroit. His distinctive sound, electro house, has a minimal taste but is yet highly danceable. As a long-time member of the Time Warp family and an ever-iconic addition to our line-up, Richie will make his grand return to the TW stage for our 25YRS celebration. A part of the legendary Club “Milk!” alongside Holger "Groover" Small and Kriss Dior, Sebastian "Seebase" Dresel is an essential part of Mannheim’s musical landscape. With Time Warp emerging from the rich soil of its hometown’s musical legacy, Seebase has been a long-time companion along our 25YRS of history. As a prolific author, writing for Groove and Spex magazine, and cultural ambassador, Seebase keeps on spreading the voice and musical identity of our hometown into the world. Cultural commentator, art curator, restaurateur and entrepreneur – not to mention long-time Time Warp family member and exceptional DJ. Who better to paint the perfect musical backdrop to our 25th anniversary celebrations than Seth Troxler? With his expert blend of early Chicago house and minimal techno through to obscure indierock and ambient psychedelia, Seth Troxler will bring Time Warp to a boiling-point. With his unstoppable grooves and infectious party mood, there is no escaping the dancefloor during this set! Over the past decade, tINI has managed to strike the rare balance of being at home both in underground clubs like Berlin's Club der Visionäre as well as the big festival stages - both ideal places to absorb her brand of deep, groove-centred house music. Her wriggling strains of house and techno tick boxes with heads and festival crowds alike, making her a welcome addition to any line-up but Time Warp in particular.